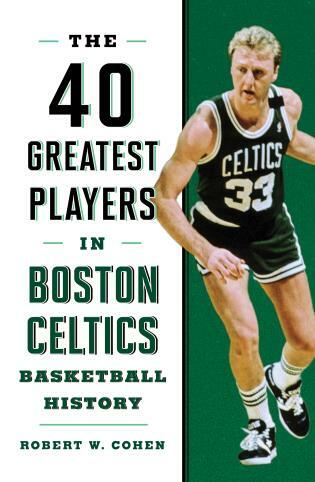 Along with the Boston Red Sox and the New England Patriots, both of which have been the subject of “50 Greatest” treatments by Bob Cohen, the Boston Celtics is one of the most iconic professional basketball teams, representing a multi-state region rather than just a city or state. Some of the sport’s greatest played for the Celtics: Bill Russell in the 1950s, John Havlicek in the 70s, Larry Bird, Kevin McHale, and Robert Parrish in the 80s, and recently Paul Pierce, Ray Allen, and Kevin Garnett. Sports historian Robert W. Cohen has chosen the best to ever wear the uniform, and he provides a short biographical profile, key stats, and details about each players exploits on the court. Robert W. Cohen began writing professionally in 2004 and has published several books on baseball, football, and basketball, including A Team for the Ages: Baseball’s All-Time All-Star Team, 50 Greatest New York Yankees, and The 50 Most Dynamic Duos in Sports History. He has appeared on numerous sports-talk radio programs around the nation; and lives in Clifton, New Jersey.